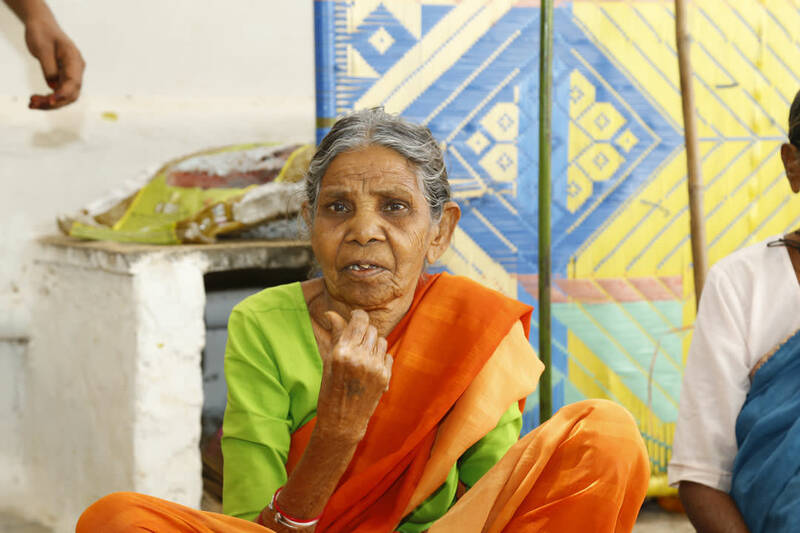 In Budhavarapeta slums in Kurnool, Andhra Pradesh has a number of destitute elderly people, who are neglected by their Sons and Daughters. Many of them don’t have families to support them and resort to begging for food, while others belong to families where the adult members go off to work leaving them alone at home. Not only do they struggle with the absence of any social and economic security, but with lack of reasonable nutrition as well. These Elderly persons are spending their time at community halls, grave yard, neighbour houses. 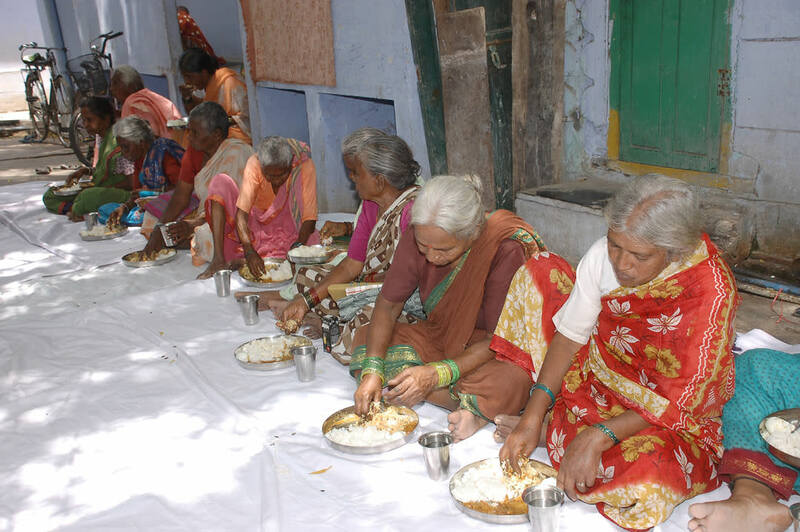 We have been providing every day nutritious meals to these 30 destitute older persons since 2009. 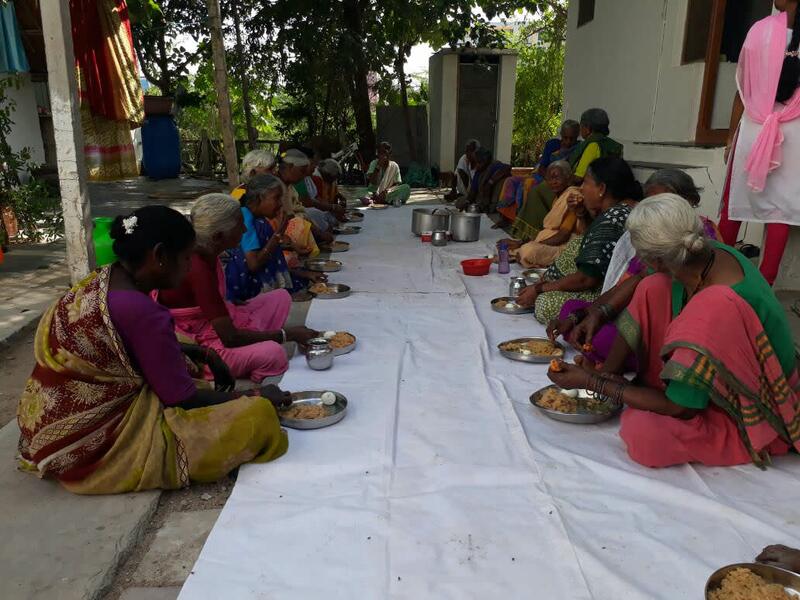 The hot meals are distributed daily between 1-2pm and include a variety of nutritional foods like steamed cooked rice, dhal, sambhar, mixed vegetable curry, seasonal pickle, Papad etc. This means they no longer have to beg for something that is so readily available to the rest of the world. The plan is to expand this project into other nearby areas as well. 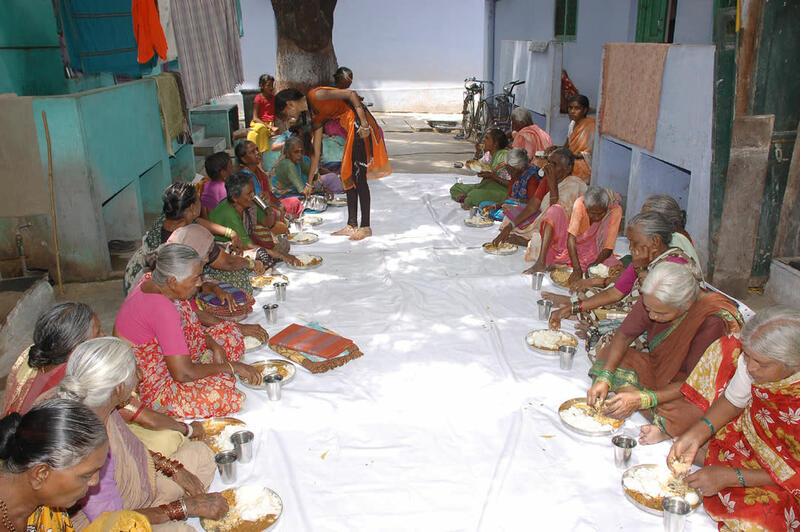 By providing nutritious food to the destitute elderly people, they recovered from their ill-health. 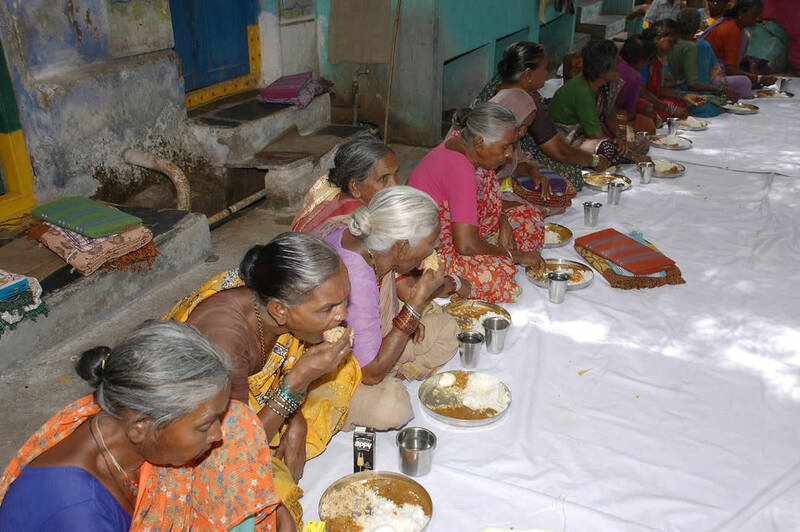 The program attempts to eliminate the aged persons from begging in slums of Kurnool, who simply can’t afford to eat, and ensure a daily worth of nutritious meals. 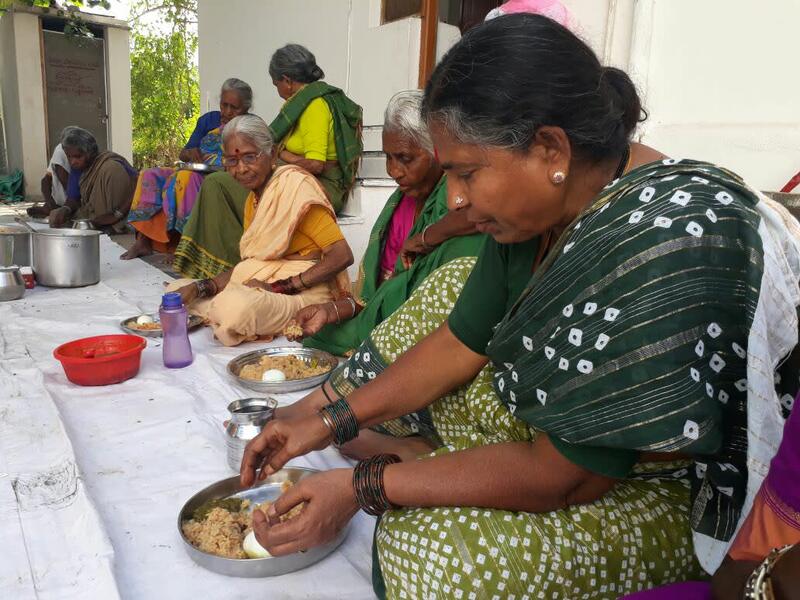 With your kind generous support the old age people can have good nutritious meal and live with dignity. Thank you for all your generous kind support for the destitute elderly persons. Thank you one and all encouraged & who supported for the financial year 2018-19 to reach our fundraising goal Rs.795200 to provide nutritious meal for the 30 destitute elderly persons for one year. We are starting the existing campaign again for this financial year 2019-2020 too to provide nutritious food to the neglected destitute older people. 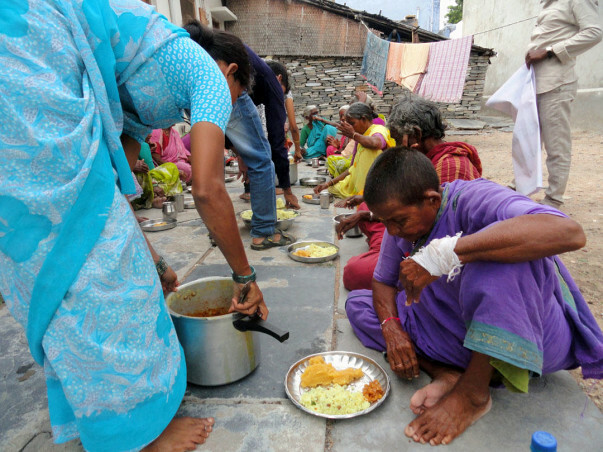 With out your kindness & financial donations it is very difficult for us to serve the destitute and needy in time. You are part of our SERUDS family. Thank you for being with us always. Grandparents also expressed their sincere gratitude towards your kind gesture & online donations. Thank you for your generosity & patronage. We always remember you and your family in our daily prayers while serving the meal for the poor old age persons. Thanking you for supporting noble cause. 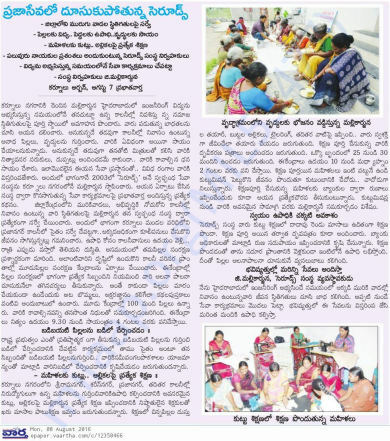 most of the elderly people in Kurnool district are neglected by their in-laws, sons & daughters. In the rural villages the elderly persons and their families depend on the construction sites, tobacco making, and agricultural fields. Due to lack of rain falls the agricultural crop is not yielding and growing poverty among rural masses and middle class families. Thereafter sons and their family migrating to the some other metropolitan cities for their survival by lefting their old aged parents in the thatched hurts in the rural villages, urban slums. Due to age concern elderly parents are not able to do any kind of work because their health not permits. 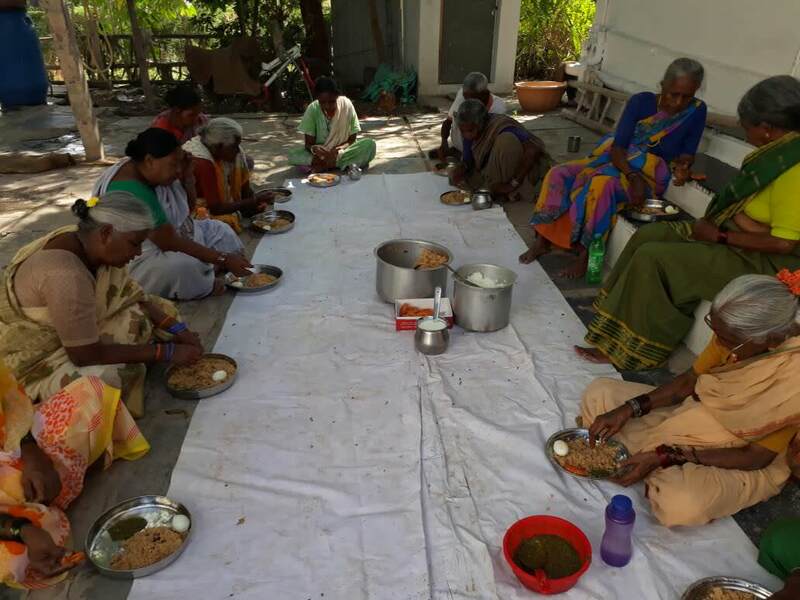 Some of them are not having children.By observing keenly our charity identified these poor old age people and bought them to one place and donating every day special lunch to 30 elderly people. Meal Donation include Steamed cooked rice, Taar Dhal, Sambal, Vegitable Mixed Curry, Curd, Seasonal Fruit, etc. with this ongoing initiative the elderly people are able to walk themselves without depending on anyone or stick. Their health standards have been improved a lot. 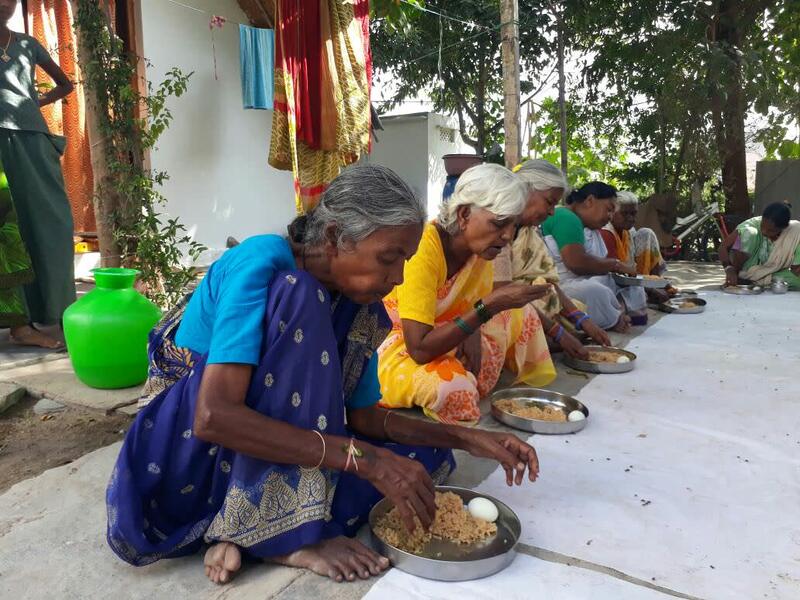 With your online donations we have been able to support the destitute old age persons by providing nutritious meals for their survival and live with dignity. Occasionally we utilize some of your donations for the medical needs of the older persons. Thanking you for donating online for the charity of elderly people. Thank you very much for your kind generous support for the unfortunate elderly persons. 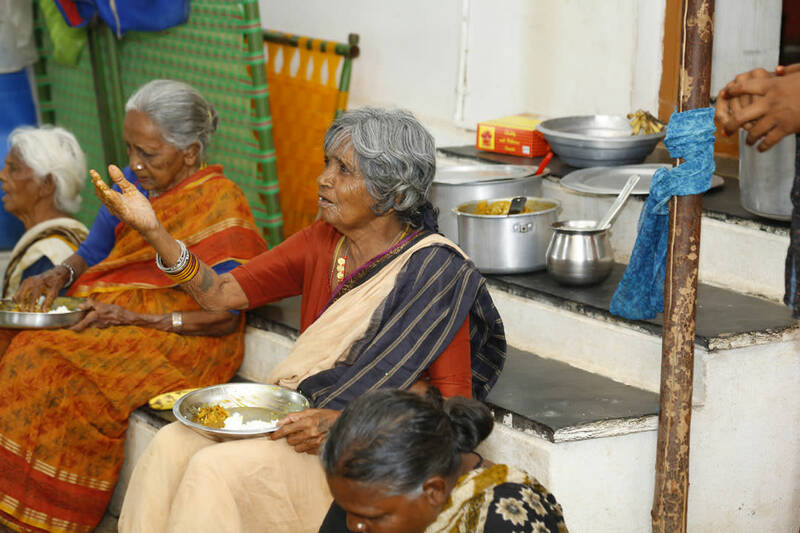 This old age care center established in the year of 2009, when the massive floods occurred in Kurnool the major households were relocated to some other towns, cities, states. At that time the sons & daughters left their parents at the home and migrated to work as daily wage labourers where ever the work allots by mason. 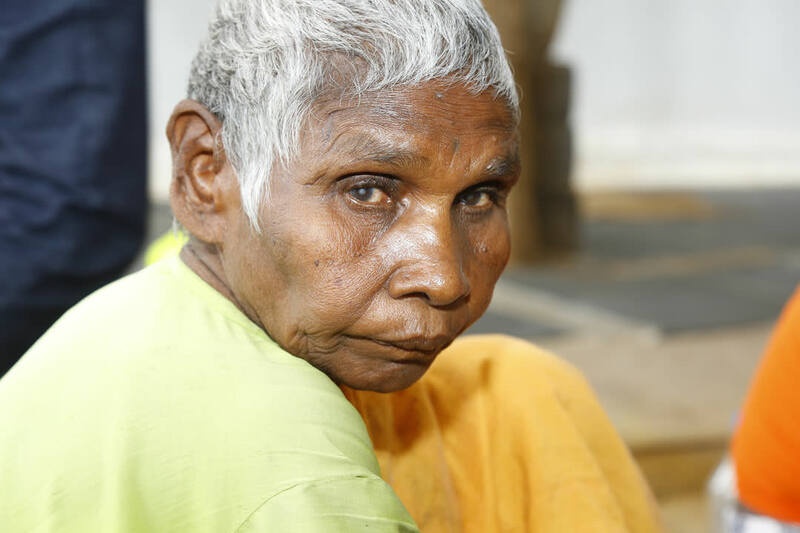 Due to age concern the older people are not able to work anymore and staying back at the home itself and many of them are not at all having houses they are homeless. 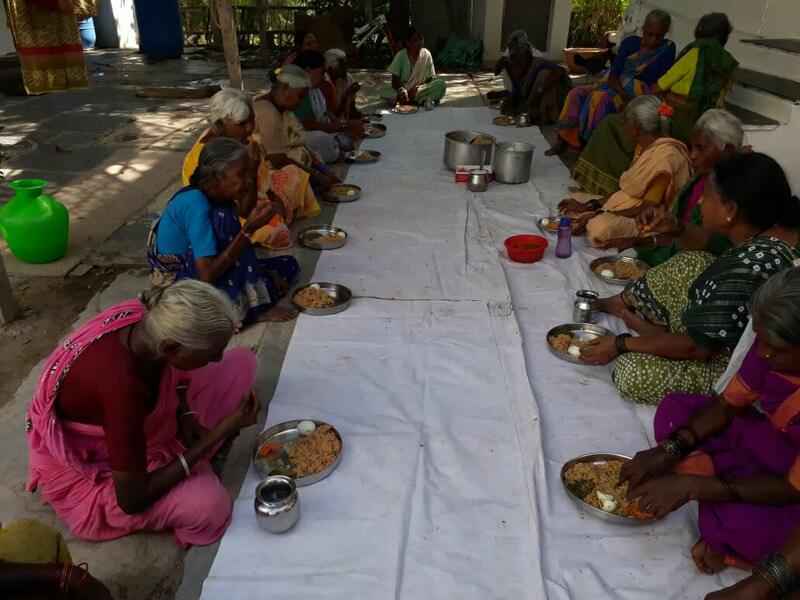 At this critical juncture as part of our regular programs we have identified these 30 older parents age group of 60 to 90 years in the urban slum in Budhavarapeta, near grave yard and providing midday meal – nutritious food includes, Steam cooked Sona Masoori Rice, Taar Dhal, Sambar, Traditional sweet, Curd, Pickle, Seasonal Fruits and occasionally when festival comes in specific month we usually provide Sarees to these older people. New dresses provides once in a quarterly. We are going to do Christmas celebrations at our with old age people in our center, as we do make happiness among all the elderly parents in every festival irrespective of caste, creed, religion. We always believe every human being is equal. Elderly parents are very happy and living with dignity. Thank you for supporting the poor senior citizens by providing timely support.